Another excellent and helpful item from the Scooper range of eating aids! This item is a Scooper Bowl with suction cups. The generous 110mm bowl has a suction base that provides a stable and secure eating experience that will minimise the risk of spillage while promoting confidence in independent eating. 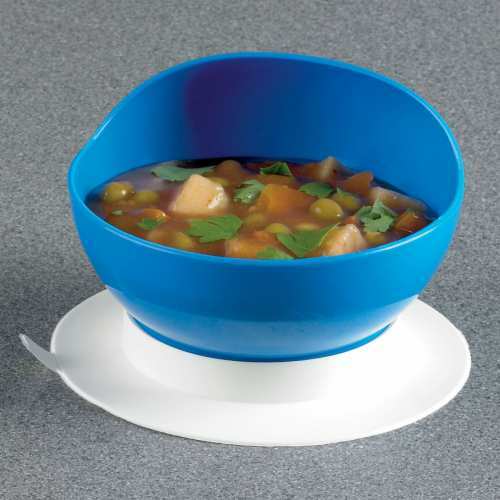 The curved rims of the bowl guide the food onto the spoon, while the bowl is kept in place by means of the slip resistant base. Dishwasher safe (once suction ring removed).